This indicator shows the remaining time for the candle to close, even if the price does not change in value, the clock keeps counting backward. You can also program price alert levels using trend lines. It can be used together with Expert Advisors and other panels, such as Controller without limit. To set a price alert level, you must draw a trend line. Once the object has been drawn, it must be named so that the indicator recognizes the object. In the name, the first thing we have to write is the alert number we want to program, it must be between 1 and 100, then the word (alert) and the symbols (</>) must be configured according to the alert level. We can also modify the way the alert is activated, allowing you to choose the way to do it. For example: when the price crosses the alert level, or only if candle 1 closes above or below the alert level. Example 1: we name the object (1alert>) to program the first alert level above the price (Bid). In the description, we put 1 if we want the alert to be activated only if candle 1 closes above the alert level and if we want the alert to be activated when the price crosses the alert level, we do not put anything. Example 2: we name the object (1alert<) to program the first alert level below the price (Bid). In the description, we put 1 if we want the alert to be activated only if candle 1 closes below the alert level and if we want the alert to be activated when the price crosses the alert level, we do not put anything. Note that for the alert to be activated, the lines must be deselected. Anchor point: Set the anchor point. Position of the indicator: Set the position of the indicator. Indicator color: Set the color of the indicator. 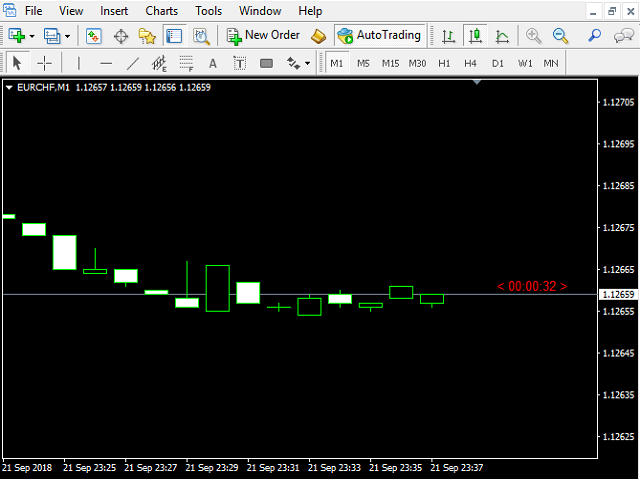 Distance from the indicator to the candle: Establish the distance between the indicator and the candle. Indicator text size: Set the size of the indicator text. Notification language: Set the language you want to receive the notifications. Type of alerts: Set the type of alert you want to receive. You want to delete the line when the price alert is activated: Set (true) if you want to delete the line once the alert is activated.